Depression, or major depressive disorder (MDD), affects the lives of millions of Americans: The World Health Organization (WHO) reports that some 300 million people suffer from the condition globally. WHO calls depression the number one source of poor health; the disease leads to a host of issues and behaviors, including substance use, self-harm, and suicidal ideations. Screening and providing access to effective methods of treatment is of the utmost importance. Individuals who do not undergo therapy are at significant risk of experiencing severe problems. It is not a coincidence that a considerable portion of people in addiction recovery lives with depression. Self-medication, after all, is a logical byproduct of living with a disorder, the symptoms of which are left unmanaged. There isn’t much a person wouldn’t do to assuage their feelings, and drugs and alcohol can be a temporary respite from one’s symptoms, at first. Unfortunately, most people who self-medicate their depressive symptoms do not understand that their method of relief only exacerbates the condition. And, if such behaviors persist, the likelihood of developing an alcohol or substance use disorder is exceedingly high. The sooner individuals with MDD receive treatment, the better! Like any general mental health disorder, the vast majority of those living with psychological maladies have never seen the inside of a therapist office. Fewer still undergo long-term residential treatment and embark upon a journey of recovery. It is entirely vital that primary care physicians screen their patients for any mental illness, whether it be anxiety, bipolar disorder, MDD, or substance use disorder. A significant number of patients are contending with more than one condition. As with most things in life, mental illness presents in men and women differently. Having a firmer understanding of the contrasts between males and females can better shape screening and treatment protocols. In fact, new research sheds light on the disparities between the sexes regarding MDD owing to genetic mechanisms, Medscape reports. The findings appear in the journal Biological Psychiatry. 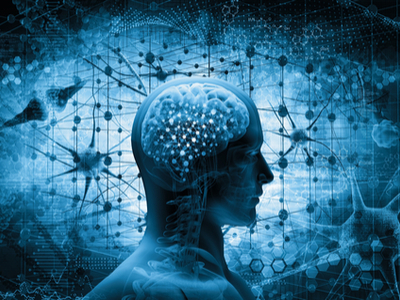 The study involving brain autopsies indicates that gene expression relating to synapse function was decreased in men but increased in women; the opposite was found in regards to the expression of immune genes. Boosting the immune function for women and suppressing it in men could lead to better recovery outcomes. Study author, Etienne Sibille, Ph.D., says the findings suggest that men and women with depression could benefit from different kinds of treatment. Research shows that women are exponentially more likely to experience atypical depression, involving hypersomnia and weight gain; females are also at greater risk of struggling with anxiety disorder. Men with MDD are at greater risk of developing an alcohol or substance use disorder. "The beauty of these findings is that they should generate hypotheses for people to test," said Dr. Sibille, senior scientist and chair, Campbell Institute, Center for Addiction and Mental Health, and professor, Departments of Psychiatry and Pharmacology, University of Toronto, Canada. If you are struggling with addiction and a co-occurring mental health disorder, please contact us today to discuss your treatment options. We can help you begin the life-saving process of recovery and help you manage the symptoms of your dual diagnosis.